I am frequently asked how to go about generating online sales. I see a lot of folks going about it all wrong. Sales is not a matter of throwing up an order page and driving traffic to it. Sales starts with lead generation. Think about this for a minute: You see an ad and it appeals to you. You click the link to learn more. You are greeted with a sales page asking you to order, join, or sign up. Chances are you, you clicked away and went back to whatever you were doing. Now think about it this way: You see an ad and it appeals to you. You click the link. The page that you see is an offer for more information. It may even have a bribe or two, such as “request our free report and we’ll give you …. “. All you need to do is enter your email address and maybe your name. If you are really interested in learning more, you fill out the form, right? Guess what. Your web site visitors think the same way. They click your link thinking they might be interested in learning more about your offer. When they get to your landing page, it needs to capture their attention and make them want to request more information. When they fill out your form, you have just generated a lead. The sales process has just begun. And, of course, include a call to action and a link to your sales page. And when they are ready to make that purchasing decision, they can choose to do business with you as someone they know, like, and trust. It all starts with lead generation. Of course, we all want sales. But our focus needs to be on the lead generation to get things started. First, we generate the leads. Then, we follow up with the leads. Then, we close the sale. Without lead generation, we have no one to follow up with. Without follow up, we don’t get sales. 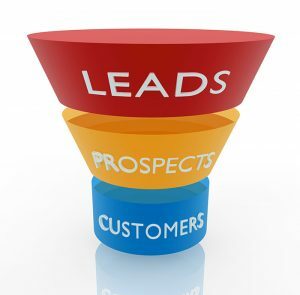 No matter what you sell, lead generation is where the process starts. We highly recommend setting up your web site or blog with a capture page to begin your lead generation. Set up your followup letters to build rapport and close sales. Then drive traffic to your web site, track the results, and tweak the steps for maximum results. Hi Brian, I’m understanding the concept of lead generation more and more as I go through the training. You’re right when I see a page that takes me directly to an order form, I will click away. It is much nicer to be given the option to get more information. And it’s always nice to get a freebie of value. When you use it you’ll remember who you got it from. I believe if you give value you’ll get it back in return. The thing is, as stated in the training, is take consistent action to keep generating leads.